Would I be surprised that Jordan Crook got put on a no-fly list for breaking laws? Probably not. The one thing I learned a long time ago in journalism type ventures is that you never take anything that you’re currently doing and throw it out to the world thinking that the masses can protect you. If you’re still doing it, then you don’t go about broadcasting how you’re breaking the law, neener neener, because bad things befall those that taunt the law in that fashion. Basically, the article itself is about how there is still the law on portable devices creating the possible interference with navigations and other devices on a plane and how some people (like Ms. Crook) think that there isn’t such an issue. Having been in the wireless industry for over a decade and knowing the ins and outs of RF, I am one of those that find it absolutely amusing when it comes to the justification of how GPS and other navigation equipment gets “effected” by wireless or portable electronics. Sorry, but it’s basic physics. If your equipment isn’t effected usually, then it’s not an issue of EM or wireless since those signals always exist. It’s the same reasoning behind people that think cell phones can set off detonators on a construction site. If that was the case, then it would have went off long ago due to base station coverage and I don’t see airports setting up no cell coverage zones like it is at a NSA listening station. No, all of that is fine and dandy. But if you’re actually looking to travel still for whatever reason, you don’t go around telling people the laws you break on planes. In my opinion, the travel industry is already inundated with a bunch of movie-scenario security laws and in doing silly things like “proving a point”, that just proves that there needs to be regulations in place to prevent people from using technologies in the air. On top of that, most laws are enforced by people that don’t actually understand what they’re enforcing. Just look at the random TSA cases of seizures of books (when the law claimed books of matches were banned) and other types of amusing stories. Government never claimed to be efficient. So, if the next time you fly and get detained by TSA, Ms. Crook, I’d probably go and take a look at what you’ve written. Maybe it wasn’t such a wise choice after all. So I finally got a chance to update my netbook to Ubuntu 11.04. And I have to say that so far, I’m very pleased with it. At least currently, I’m not running into any wireless issues like I did in 10.10. 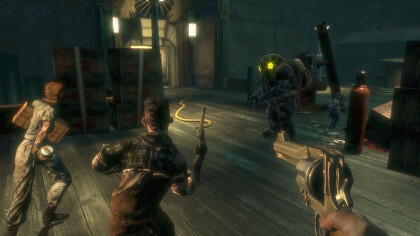 The overall look and feel has been very clean too, and it’s perfect for any sort of development type of environment. Overall, I have to say that it’s amusing the application dock bar is almost a direct copy of the Mac OSX docking bar. It’s not completely the same but the similarities are definitely there. What can you say, don’t mess with a good thing when it’s proven to be a good design. I do love the full screen app mode where it takes over the entire screen itself too. The menu system will come up when you hit the alt key, so it’s actually very easy to work with and doesn’t change any of your current working styles, just makes the real estate to work in larger. One change that I haven’t really tested too much are the differences between LibreOffice and Openoffice. LibreOffice has replaced OO, and it’s actually a fork of it where it’s trying to remove the dependencies of Java. Looks fairly clean, but like I said… haven’t had a change to play with it since I’m usually embedded deep in command line, vi, and terminals. The only thing that I can see where linux is drastically missing something now, is probably a spectacular email client. There has to be something that can replace Outlook completely, but still have the ease of use and simplicity of Ubuntu. That’s really what has driven Ubuntu’s user experience in my opinion and driven linux use forward. Especially compared to the days when you had to compile X11 and all you had for window managers was something out of the Unix term environment. If you have an older computer, I definitely recommend checking out Ubuntu 11.04. The speed of it really breaths new life into a computer that you thought couldn’t be worth anything anymore. And with basic browsing, printing, and your average document processing? Ubuntu 11.04 has come a long ways since I first touched linux. 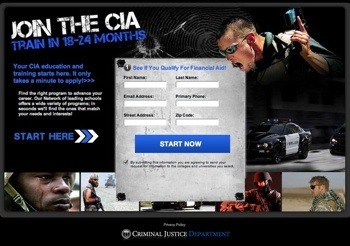 So I ran across this website running an ad on becoming a CIA agent. Amusingly, I remembered back in college days when I was accepted to be a CIA intern, but couldn’t even get in with the FBI because of my grades. I suppose computer skills were more important than grades at the time with the CIA. In any case, so knowing that there are GPA requirements to join certain agencies, I thought it was amusing that there was a site that was offering financial aid to become one, and on top of that was basically saying that you could join in 18 to 24 months. I could be wrong, but I’m pretty sure it depends on a lot of qualifications and all sorts of things. So I looked it up and the site happens to be off a .org TLD. I could be wrong, but I have never seen any federal government agency use a .org TLD ever. In fact, this is registered to someone that’s using a domain proxy which means that it’s probably a private individual. On top of that, they want to see if you qualify for financial aid. Someone is trying to get personal data for financial aid? Sounds awfully like a phishing scam. Now, like I said, it might be legit. But all indications seem to point to the fact that it isn’t when you get right down to it. Scary stuff. And this is from a legitimate ad. Caveat emptor. I have yet to see people talk about this, so I suppose I will. This is my personal opinion of the matter and having been in the telecommunications industry (specifically cellular) for the past decade, I would think that this should bear at least some weight. Sorry AT&T, but there isn’t anything of this that’s good for anyone else except the T-Mobile board and investors. AT&T first has higher pricing, so T-Mobile customers get to enjoy that luxury that’s coming soon. We won’t talk about the service record that the former actually puts out but everyone has read the reviews. 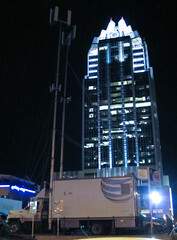 On top of that, AT&T does have a LTE strategy but contrary to belief, T-Mobile does too. This will be a huge issue of merging the management and corporate culture in which I would assume that T-Mobile will lose out in the end. If so, this will end poorly just like the Sprint-Nextel merger where Nextel’s management basically left to start new ventures. I’ll let the stock price talk about where Sprint has gone with their strategy. Yes, that’s a fact. In telecom, your job is always a project away from getting cut. When jobs are duplicated, then there’s even a higher likelihood of this happening. On top of this, not only will the actual carriers (AT&T) be cutting down the merging workforces, but there will also be a duplication of services and providers such as Alcatel-Lucent, Sony Eriksson, Nokia Siemens, Huawei, Motorola, and whomever else AT&T has dealings with. So just as trickle-down economics effects everyone from top to bottom, this will be the same with an acquisition. Don’t be conned by a two year migration period either. The Verizon and Alltel acquisition is taking all of five years at least. At the end, I would be curious as far as who will be left from the merger. The line above will still hold true. As a T-Mobile customer, I think the only thing you can do is voice your displeasure of this merger. While I am not a customer, I do have many colleagues that do work at T-Mobile and I’m left wondering what they’re thinking about in terms of the future of their employment. As a government person, I implore you to push off on this. In good economic times, the American people can take a large scale hit across their faces. But with places still having unemployment rates at even 12% (and there’s discrepancy on how that’s determined), I have to wonder if you really represent the American people when we’re suffering through one of the worst times in history and employment is scarce. More so for those in telecom where I know people that have been out of work for over three years now because of how specialized our work tends to be. I always have to laugh when I read garbage printed about telecommunications when people don’t actually talk to those inside the industry first. Such as this TechCrunch article that basically talks about how Verizon’s network is slower, older, and would suffer the same capacity issues that AT&T did and that there wouldn’t be any other differences outside of the CDMA vs GSM. Alas, my poor deluded journalist, you are so incorrect. There is a huge difference due to protocol and company culture. And you would know this if you were speaking to people within the telecommunications infrastructure industry (just as I have been working in it for the better half of a decade). Let’s talk about the corporate culture for a second. Hypothetically, if Apple had chosen Sprint for their network, then I would say that they would have the same issues as AT&T has had with their iPhone coverage. Sprint in the past is known to overload their networks with other products. Boost was one of the first, but there are many others that also use the same network but branded under a different name. But Verizon has had management that has always been a stickler for building out for capacity. They keep building out their networks regardless of economy and the last I’ve heard, they’re perfectly capable of handling any sort of traffic that iPhone sales would generate without even blinking an eye. While I have never worked on any of the Vegas markets myself, I do know that for events most carriers bring in mobile base station units to help accommodate the traffic for conventions, ball games, and the like. If AT&T couldn’t handle the traffic at CES, there’s a reason for it but I doubt that Verizon would be in the same boat there. Second, you don’t need more cell sites to gain capacity. Capacity is driven by what we call in the industry: carriers. Each carrier can carry so much capacity and depending on the cell site, you can install so many carriers. It depends on the spectrum and how tall the tower itself is, and if you’re using that tower with other providers. But overall, capacity really is less about physical footprints. Will data carriers be overloaded? Perhaps. I leave that in the capable hands of the Verizon capacity planners, which I would say have been working on this issue for the better part of a year or two. Will CDMA iPhones experience similar data problems as current GSM ones? Perhaps. I doubt it. If they do experience difficulties, they’ll be different due to the way the protocols handle data. Now here’s the big, huge difference that CDMA will win over GSM. GSM (circa 1981) is older than CDMA (circa 1993). In my many years of on performance of cellular networks, two major problems plague GSM carriers that do not happen no where near as often on CDMA carriers. The first is ghosting. This is where you’ll be talking to someone and suddenly you’ll hear someone else’s conversation. At times you’ll basically be swapped, but sometimes it doesn’t happen. I’m not saying that it happens on AT&T itself, but that’s something that drives GSM consumers mad. The other is one of the channels dropping off. In CDMA, if you drop a call, you usually drop the entire call itself. Both forward and reverse channels disconnect. However, the competition has a tendency of dropping either channel while keeping the call up which basically provides you a call where one person can talk but can’t hear, or vice versa. That goes away when you switch to a CDMA iPhone. Now the last part is: what phone do I carry? I personally carry a Droid. Are there GSM carriers I like? Sure. But I can’t stand buying into a network I do dislike just for the iPhone. It’s like driving a Mercedes that has had its engine replaced with a Yugo. It just won’t do. And now that Verizon is going to carry the iPhone, I have a feeling that it’s just about the time to make the switch. I have to say that refinancing in North Carolina isn’t fun, nor is it a ball of awesome. I mean, in all honesty, we had to do all of the research ourselves because frankly no one wanted to tell you about the fees and hidden costs that you’ll probably pay if you don’t be careful. 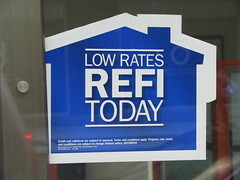 Here’s a few things to keep in mind of to take out of the closing costs of a refinance. Mortgage Insurance. You only need this if you’re getting a second mortgage and if you don’t have home owner’s insurance. This stuff stings because you have to remember to cancel it even if you’re done with the second mortgage. If you don’t need this, get rid of it. In North Carolina, there is a origination fee. This is usually 1% of whatever your loan is although there could be a little extra called an “underwriting” fee. This is normal, but it’s also pure profit for creating the loan for you. In other states, this actually goes away these days, especially on jumbo loans, but in this state, it does not (at least not to my knowledge). Put everything in writing. If they’re going to waive something, that should go into the good faith estimate. Also, from experience, attorneys fees range somewhere around $500USD mark. Title insurance is a re-issue of your previous title. Don’t buy a new one since that’s a waste of money. Titles are the same everywhere nationally and it usually costs you something like $2 per $1000 on loan. This is for the lender so if they’re trying to get you for a lot more, get your own title from any title insurance company. You could try Chicago Title Insurance Company, whom is one of the major three vendors nationally. Don’t get suckered into a prepayment penalty loan. These loans will basically mean that you have to pay the entire interest amount off regardless of how early you pay off your debt. You don’t want a penalty for prepayment which basically means that the moment you pay off your principal, you’re home free for interest payments. Did you know that you can get waivers for appraisal fees and such? This all depends on how much you’re shopping out your loan and how large it is. The more money that’s at stake, the more there are negotiations on closing costs. Everything is up for grabs since the banks want to do the loan, especially if you have a spectacular FICO score. Don’t roll your closing costs into the loan. That’s plain silly. It might seem like you’re not paying a dime, but in reality, you’re not only borrowing the money of the closing cost, but you’re also paying interest on it. More payment to seem hassle free? I don’t think so. Home owner’s insurance. You shouldn’t have to pay this if you already have a home owner’s policy. I don’t know for sure on this, but I’m pretty sure it can be thrown out of the closing costs. Regardless of whether or not your house is in a flood plain, you have to pay for the flood certification. Runs somewhere around $15-25 depending on the home. If you don’t know how much your house is worth before you start down this path for refinance, check a real estate site like ZIllow. While this isn’t an exact science and there’s not guarantee that the appraiser will value your house close to this price, it’s a number to work with and it seems that banks also use sites like these for their beginning estimations. This will give you an idea on whether or not it’s even worth pursuing the refinance in the first place. On top of this… sometimes it’s not worth getting into a refinance situation if you’ve already paid off a significant chunk of your principal since regardless of the rate, you’re basically getting into another loan from the beginning. The money spent and time has to be accounted for in a refinance. In the real estate industry, many of these fees are termed as “junk fees”. They’re basically fees that are tagged onto loans to make it seem legitimate but are actual pure profit for the loan generation. Think of it like the certain types of regulatory fees that you sometimes see on utilities or cell phone bills where it’s not tied to any actual law but is made to sound official so that they can collect a little bit more money. What’s interesting here is that a lot of people lower their rates without understanding what sort of savings you’ll need to save. If the closing fees are $3600, and you’re saving $100/month in mortgage payments by lowering the rate, then this means that each year, you’ll be saving $1200. This means that just to break even on getting the lower rate, you’ll have to hold onto that home for another three years. Is that in your plan? Perhaps. But you need to figure all of this out and believe me when I say that most real estate people that are involved in your loan will probably not go out of their way to tell you about those types of things. In their best interest of course.